Hello , friends. 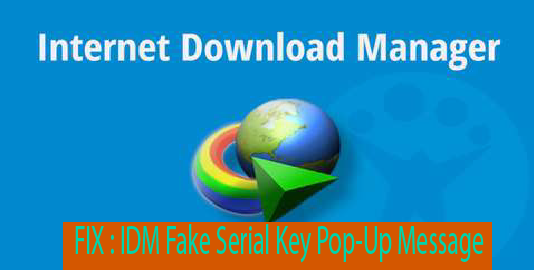 Today we are going to discuss Internet Download Manager Fake serial Key Pop-Up Message. This message is the world's famous and most annoying error pop-up message come on your PC 's screen when you're going to download from IDM . Reader, you are at right place to get rid of this error.It is world's famous and most annoying error because nowadays most of the people using IDM for downloading purpose because it increases the downloading speed of any file 5 times more than it's natural. So let's start to fix this error. If you were using Internet Download Manager make sure it was a fully cracked version, because some sites provide you the best-cracked version for IDM . But friends many time this cracked version is not working well and downloaded files with errors.And after some time this cracked versions also show this pop-up message that"Internet Download Manager has been registered with Fake Serial Number and Serial Number has been blocked".So we recommend you purchase the fully-featured products. We will teach you the pro way to get purge from this error or pop-up message. There are many methods to fix this error and many sites provide you different or complex methods, but we teach you world's best fixing methods and trying to explain you each and every step in the simple or easy way . Choose file IDMGrHlp.exe, now delete this file. 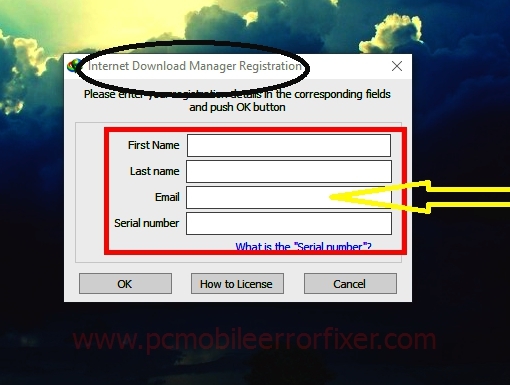 In this method, we going to teach who you can fix error Internet Download Manager Serial Key Pop-Up message by modifying or editing the host files. After opening this file with Notepad, now just copy the below codes and paste them in the last line in 'hosts'. And save this file (don't forget this step). First of all, uninstall the Internet Download Manager completely from your PC , and clean all registry files with the help of any cleaner. 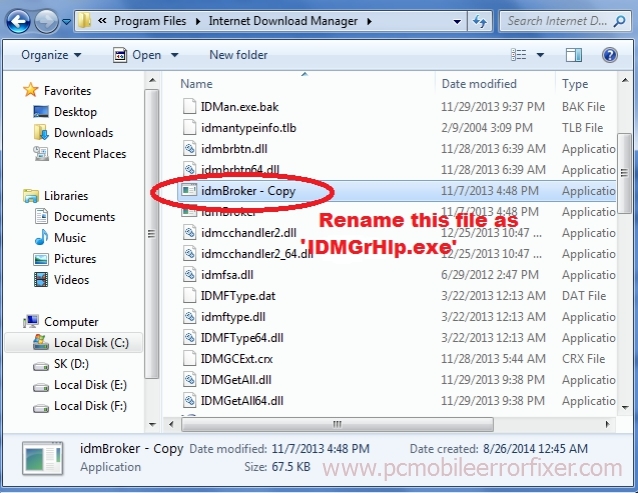 Restart your PC and reinstall the IDM (fully cracked version). Never worry about the registration. 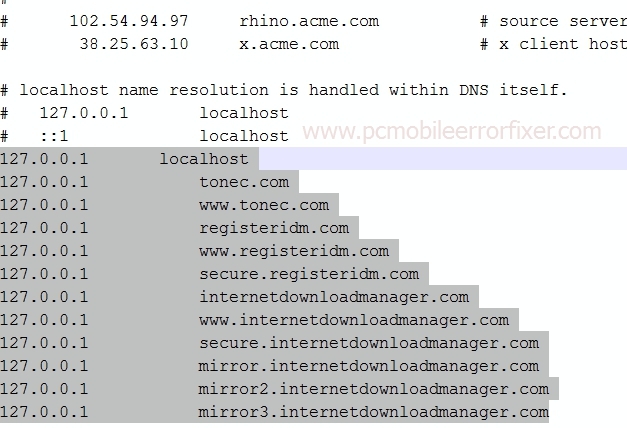 So, buddies, these are few and best method to fix the problem of IDM Fake Serial Key Pop-up Messages.Hope you guys are satisfied with all these methods that we're teaching or explaining you . Soon we are coming with our new article on our blog Error Fixer For PC and Mobile , so visit our blog daily to know more about errors and their fixes. And Readers, don't forget to comment below if you have any query about this article. IDM is the best download manager for windows. 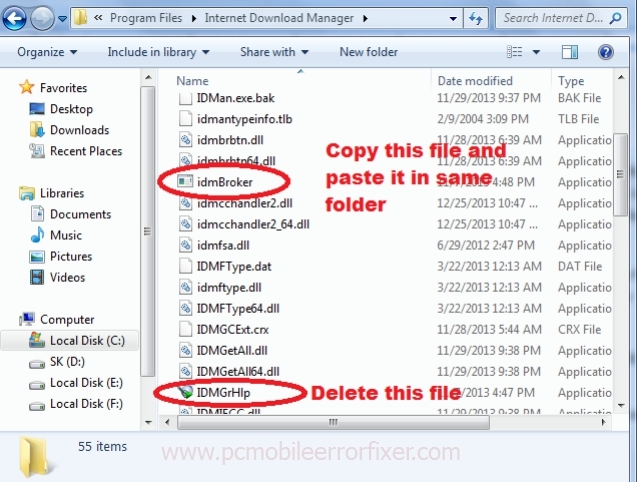 IDM Portable Free Download For Windows 7, 8, 10, XP, Vista. Very Nice and informative article. IDM is always best download manager for windows. 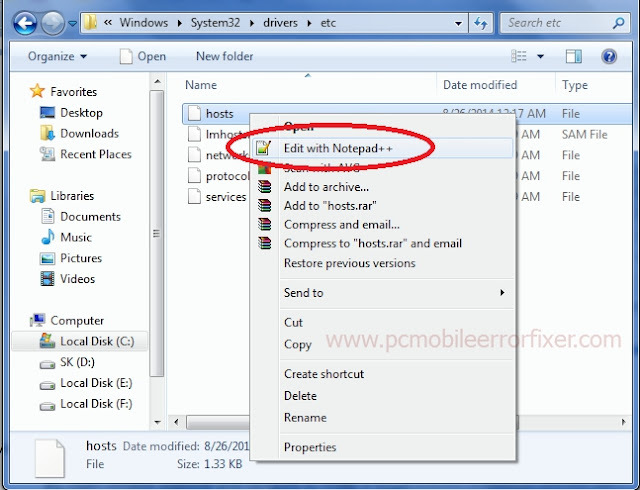 You can also check IDM Portable Free Download For Windows 7, 8, 10, XP, Vista.